Embark on a vocal journey through the sacred sounds of ancient India. 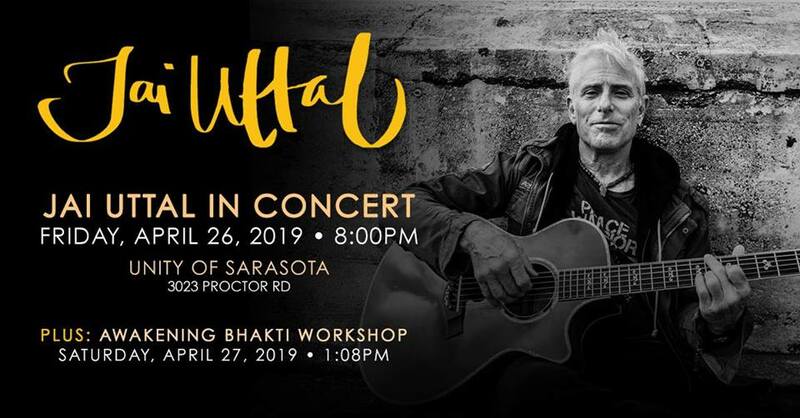 With call-and-response group chanting and storytelling, Jai Uttal creates a space of invocation, prayer, and heartfelt expression. This meditative practice of calling to the divine creates a bridge between the individual and the eternal, opening the heart and welcoming the spirit. By singing these prayers and expressing a full range of emotions through our voices we join a stream of consciousness and devotion that has been flowing for centuries. Jai Uttal is a Grammy-nominated kirtan artist, multi-instrumentalist, and ecstatic vocalist. He is considered a pioneer in the world music community with his combined influences from India and American rock and jazz. Jai has been leading, teaching and performing world music and kirtan—the ancient yoga of chanting—around the world for close to 50 years, creating a safe environment for people to open their hearts and voices. Learn more about Jai at http://www.jaiuttal.com.